Showcased the work that the Confucius Institute at Mason has accomplished in their first five years (view book). 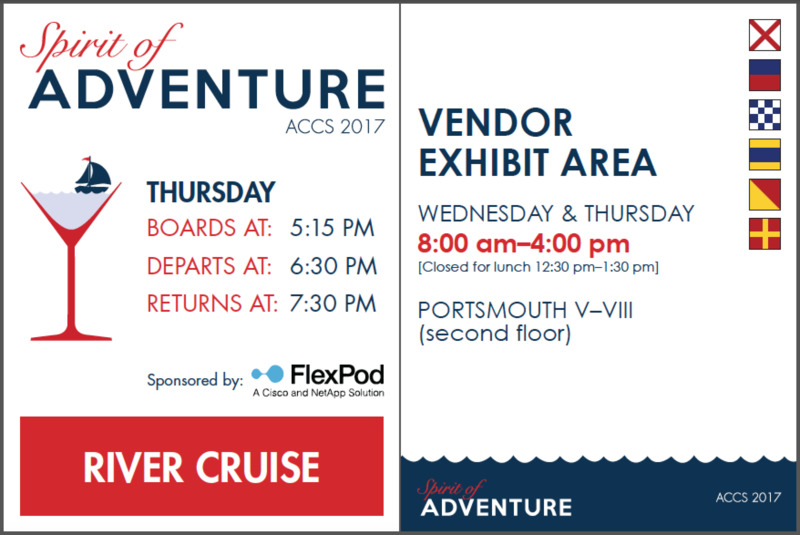 Prepared the annual conference posters for ACCS, including designing the logo and using the theme in clever ways. Researched, visualized, and illustrated the story of the importance of reading early and often to children. 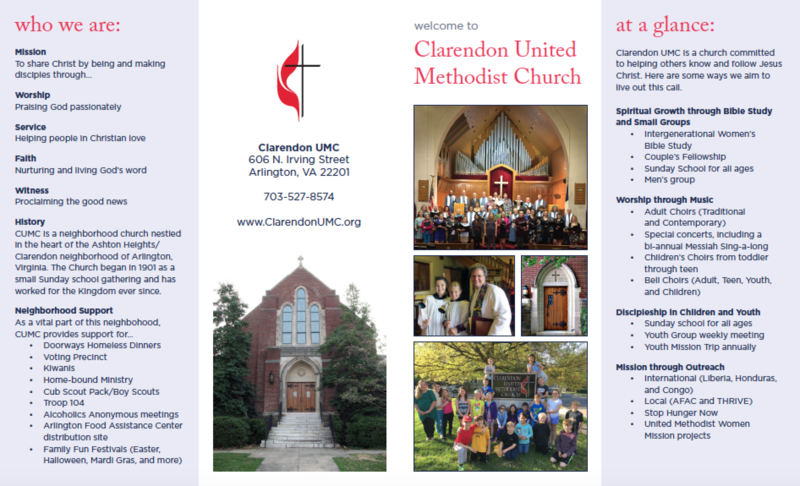 Designed a gate-fold brochure to introduce Clarendon United Methodist Church to the community. 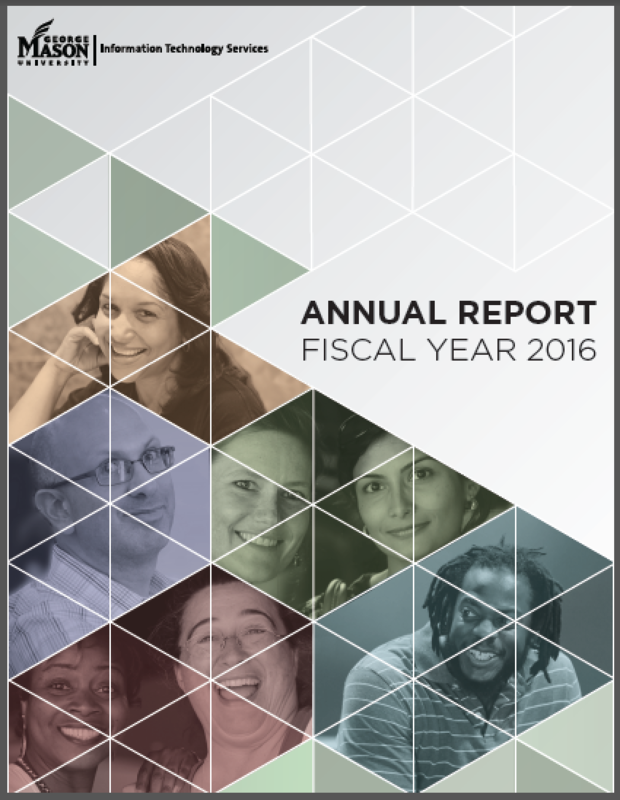 Conceptualized, designed, and prepared the FY2016 ITS Annual Report. 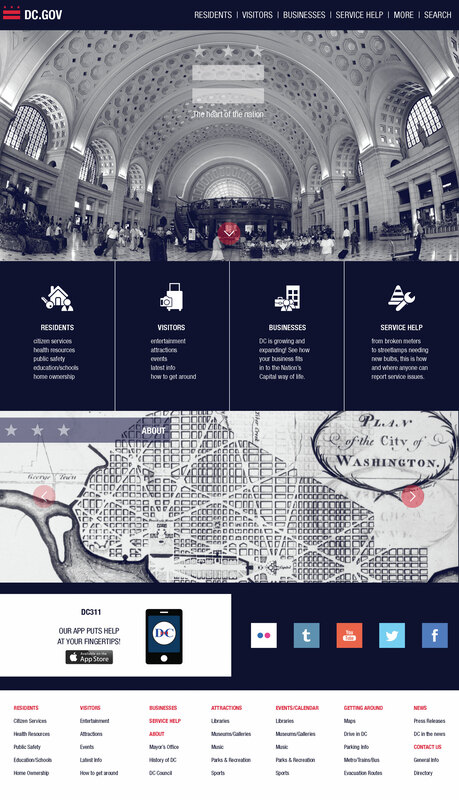 Reorganized and enhanced the DC.gov web site to be more visually powerful as well as user- and mobile-friendly. 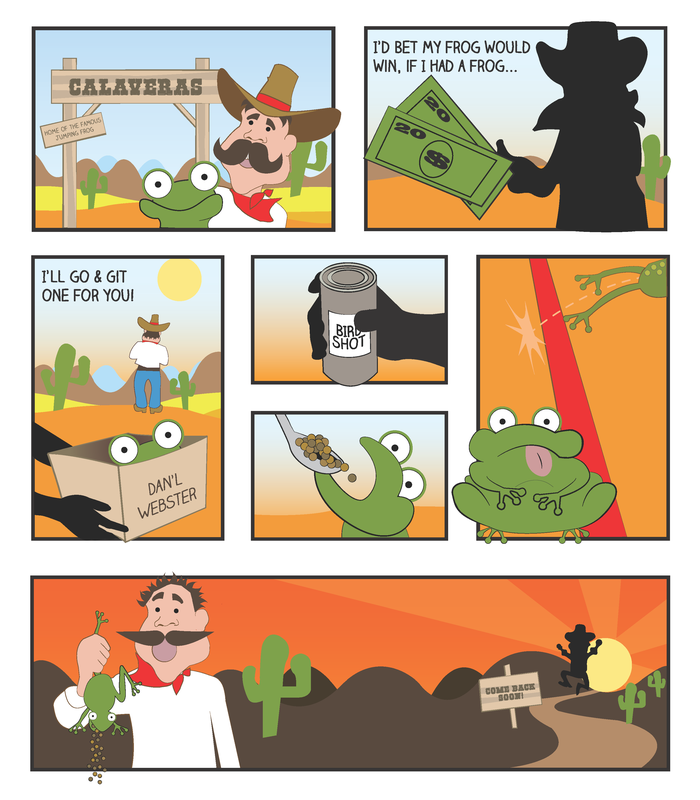 Conceptualized Mark Twain's classic "The Celebrated Jumping Frog of Calaveras County" as a comic strip. Energized the look of the annual Dulles Day Festival & Plane Pull for the Special Olympics of Virginia. 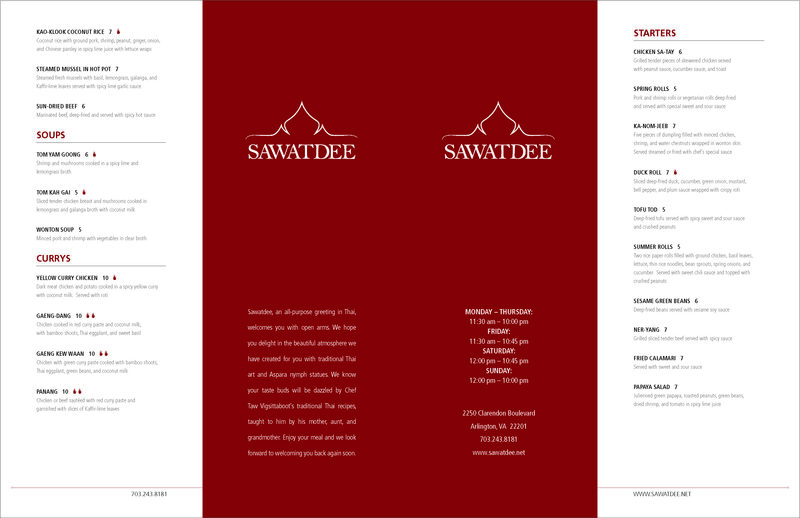 Prepared a new logo, reorganized, and redesigned the takeout menu for a local Thai restaurant. 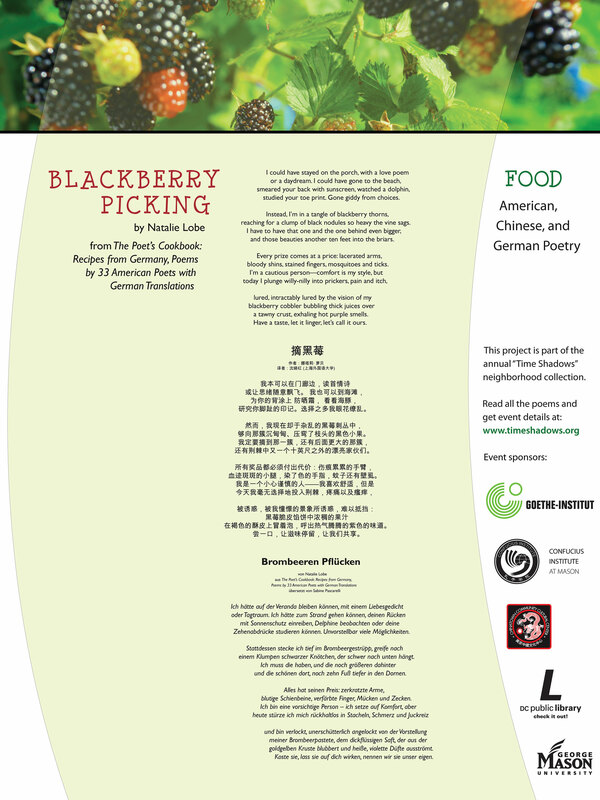 Created a series of posters celebrating the poetry of Chinese, German, and American cultures for the annual event. 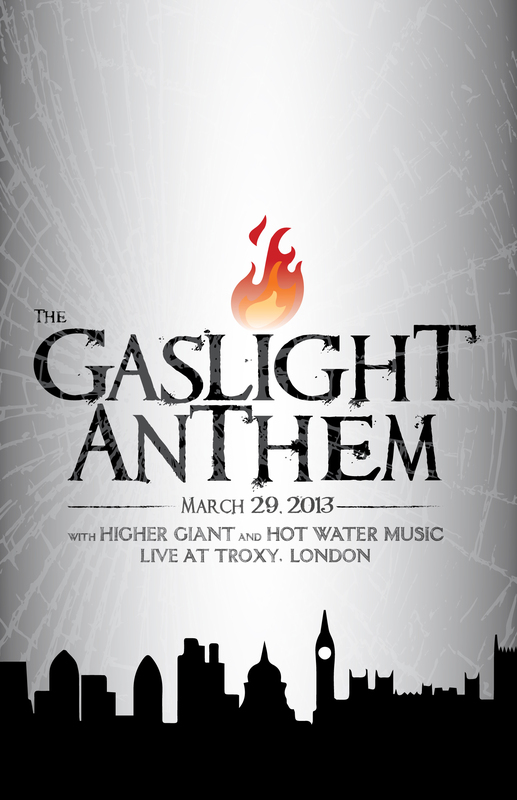 Designed a poster for screen-printing to promote a concert by the band The Gaslight Anthem. With a technical background in environmental science and a flair for design, I'm uniquely qualified to help your organization achieve its creative goals. I offer an international perspective to design, having lived and worked overseas for more than two years. My clients appreciate my unique approach, dedication to quality, work speed, and affable personality. My background and training has given me the rare ability to transform technically complex, difficult to understand messages into digestible bits to empower and educate consumers. My design work is as varied as my customers. I design for the brand—whether it be classic and simple, playful, or imaginative. With a million different influences constantly bombarding our senses for attention, my goal has always been to employ a method to catch the eye so that people will stop, look, and learn. Design and manage communications campaigns for Information Technology Services (ITS) to promote IT services to our customers. Campaigns include communicating difficult, complex, and technical messages to the university faculty, staff, and students. Create the brand and marketing collateral for the Confucius Institute at Mason, guiding the communications for the institute during its first five years. Prepare collateral material for various programs, including writing/designing articles, banners, branding guidelines, brochures, posters, email postcards, flyers, instructional sheets, web sites, and a range of other items. Redesign ITS web sites to improve the site’s functionality, intuitivity, and accessibility. Build web sites in a web content management system and train users in how to update those web sites. Manage web content and messaging for several ITS sites. Promote and graphically-enhance activities of various organizations that Mason is involved with, including the Association of Collegiate Computing Services of Virginia. Developed and managed the web site and trained several staff in web site maintenance. Prepared collateral materials for the communications unit, including newsletters, press releases, brochures, and other publications for effective community outreach and education across Vietnam, Cambodia, and Laos. Created marketing materials for corporate business development and the company’s searchable energy market database. Provided program development, logistical, and outreach support to the State of New York to promote energy efficiency awareness amongst various local industries. 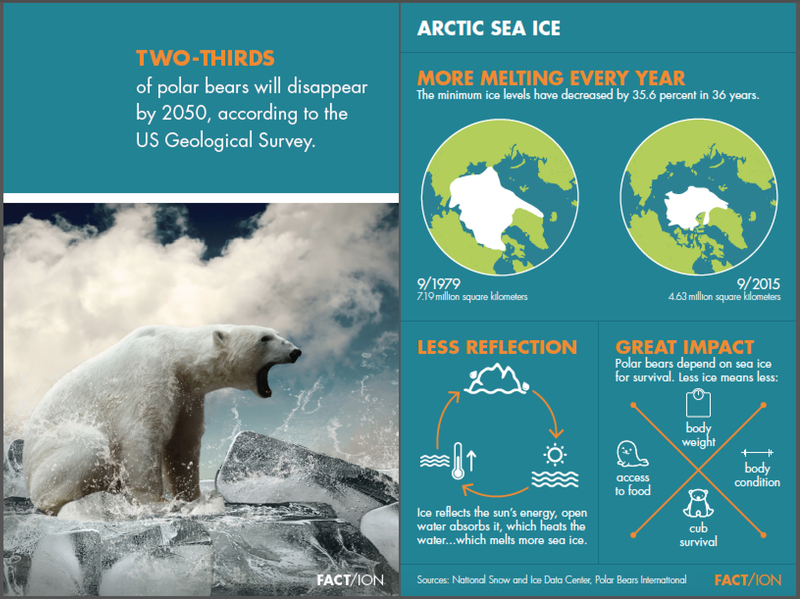 Developed brochures and web sites to support the effort. Conducted in-depth research on electricity and gas utility industry restructuring, energy-related products and services markets, energy efficiency programs, and consumer awareness campaigns in numerous U.S. states. Provided technical support to the Environmental Protection Agency’s ENERGY STAR® programs, the Department of Housing and Urban Development’s programs to encourage energy efficiency in public housing, and the Department of Energy. Conducted reviews of Environmental Impact Statements and Environmental Assessments for U.S. Government agencies. Performed extensive research on U.S. environmental laws and the socioeconomic and environmental impacts of proposed military/federal actions. Conducted public outreach for the U.S. EPA’s Office of Pollution Prevention and Toxics to promote public understanding of the dangers associated with lead paint. Planned and facilitated regional conferences. Assisted and supported the Bureau of Oceans and International Environmental and Scientific Affairs in their efforts to promote global climate change stabilization.